Should everyone use a travel professional? Of course not. Many people are better off booking their travel themselves. One of the first steps in securing my services is a consultation call where we find out if we are a good fit to work together. You have multiple passport stamps and have traveled extensively. You also have lots of time on your hands and love to research and plan your own travel. You have no time constraints and are not overwhelmed by all the choices. You laugh at the word stress. If this is you, most likely you don’t need me. Perhaps you should consider becoming a travel designer like I did. I am not sure why someone would not enjoy free upgrades, early check-ins, small gifts, and other VIP extras that travel professionals can score for you? Most likely, most people just don’t know the extra value a travel designer can provide. We want all of our clients to feel special and we go the extra mile to make sure they do. Let’s face it, when you book with an online booking agency you are just a number. If anything goes wrong you are the one on hold on the phone, you are the one negotiating a new flight or hotel room. Travel consultants establish a relationship with you and are with you before, during and after your travel, “for better or for worse” we are there. We want you to have a positive, memorable experience so we go above and beyond to make that a reality. If price is your bottom line and not value or experience then a travel designer is not for you. We are in this profession because we are creative and we enjoy designing itineraries that are unique to your wants and needs. If you want cheap then Expedia, Book It or other similar online booking agencies are available for you. Just remember that cheapest isn’t always best. Hotels know how you booked your room and you will get what you pay for. They recognize you are not a loyal customer and those rooms that aren’t their best may be what you end up with. My clients won’t have that happen because of the respected relationships we have with resorts and brands. I want to give all my clients the unforgettable trip of a lifetime. I plan each and every trip with careful consideration, making sure it reflects your unique interests, personality and vision. We get to know our clients so that we can provide them with details that will make the difference in their experience. You can certainly enjoy a trip without the extra caring and attention to detail that I can provide, but I believe this is the true value that working with a travel professional provides. In the end you must make the decisions about what is important to you when you travel and whether or not I fit into that equation. If you don’t find yourself on this list, then before your next beautiful getaway, let’s chat! 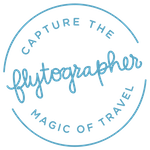 If you'd like reasons to use a travel professional you can check out my blog post 3 Reasons to Use a Travel Designer or this article I am quoted in Why Everyone Should Use a Travel Agent in 2018.